The world was a vastly different place in 1930, when an ambitious 24 year old Francis Alexander Jones, who had qualified as an accountant in 1928 with Messrs Burkett & McLaren of Perth, first “hung out his shingle” in Fremantle. The population of the greater Perth metropolitan area (such as it was) at that time numbered around 200,000 and Fremantle had been a city for just one year. It was the year Bradman scored 452 not out at the SCG before going on to score 254 at Lords, and Charles Kingsford Smith made his historic round the world flight. Phar Lap won the Melbourne Cup, East Fremantle won the WAFL Premiership, and Perth was finally connected to the rest of Australia by telephone. Locally, Ford opened an assembly plant at North Fremantle, and work on the Stirling Highway began, although it wasn’t to reach Fremantle via a “new” traffic bridge (the one we now call the old traffic bridge) until 1939. The Depression was of course beginning to take serious hold at that time, and unemployment was over 20%. But this didn’t seem to daunt Francis Jones, who ran his business from an office upstairs in Atwell Arcade off Cantonment Street. Although he was an accountant, it appears that Francis was an entrepreneur of sorts, with fingers in many pies including land (All States Development Company), providoring (HAW Jones Ship Chandlering), real estate (General Estate and Agency Co. Ltd.) and even finance (British Finance Agency Co. Ltd.). With so many interests, it was no wonder Francis came to rely more and more on Herb Moonen to take care of the accountancy practice while he ran his other businesses. Much of Francis’ work in the early years seems to have been taken up with liquidations, which is not entirely unexpected given the state of the world economy in those days. He would make the journey from Fremantle to West Perth for the liquidations at a leisurely pace, stopping for the odd social visit at a couple of spots on the way. At the liquidations themselves “Jonesy” was an imposing presence, who didn’t seem to mind mildly intimidating his competitors in the room. But it didn’t always go his way; in 1931 Francis was obliged to pay 26 pounds and ten shillings plus costs to Miss Ethel May Fordham. A local magistrate found against him for “wrongful seizure of chattels” from Miss Fordham’s tea shop at 71 Market Street. Yet in spite of hurdles like these, the business obviously went well, because in 1934 Francis was recorded as having donated ten pounds and six shillings to the Salvation Army Boys Home for their Christmas fund – and early indication of a charitable attitude that still characterises the company today. By 1935, Francis A Jones had moved to 201 High Street, not far from its present location and where today an SKG radiography building stands, which was the first of several High Street addresses. There is also mention of an office at 98 St Georges Terrace in Perth, but it didn’t last more than a year, and Francis kept to his familiar realm in Fremantle, and kept on building up his businesses, which seem to have enjoyed success. This is possibly due to the fact that in Fremantle during the Depression, local unemployment was not as badly affected as other areas of the state, thanks to a thriving frozen lamb trade. For a man with business interests in providoring, this was probably a time of good profits – although as we have seen, he was also well disposed to share his wealth. He was also a social individual, maintaining regular attendance at the Fremantle Club. In about 1938, prior to the outbreak of a war that would engulf almost the entire world, Francis A Jones moved to 165 High Street, near the corner of Queen Street. The building that the firm was in then is long gone, unfortunately. During the Second World War, Fremantle was the second biggest base for submarines operating in the Pacific theatre, with up to 125 United States, 31 British and 11 Free Dutch submarines calling it their home port for the duration. 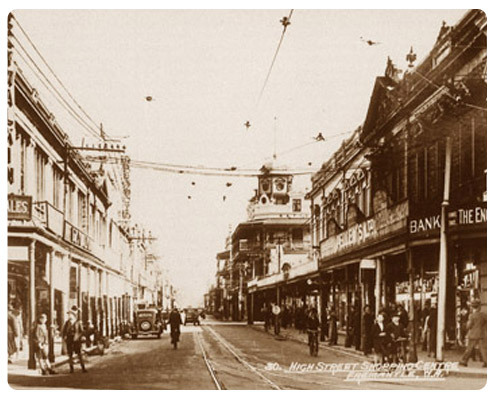 This led to a flourishing black market and prostitution trade, and although there is no suggestion that an upright figure like Francis A Jones was ever involved, it must have been an exciting and busy time to be on Freo’s bustling streets. Young Herb Moonen had been working for a West End Fremantle accountant named Bill Roberts until he joined Francis A Jones in 1949. As mentioned above, Herb was a loyal and industrious worker who shouldered the main burden of looking after the accountancy practice’s clientele while Francis took care of his other businesses. The client list at that time included most of Fremantle’s fishermen, and a good percentage of the market gardeners that operated from South Fremantle down through Spearwood. This was to remain the case through most of the firm’s life. In 1958, QANTAS began its round the world service, the first Opera House Lottery winner walked away with one hundred thousand pounds, the telex link between Australia, Britain, Canada and the US was finally completed, and the federal government released a list of 178 books banned in Australia. In Fremantle, Lloyd Marchesi set up an accountancy firm in Market Street over a tyre shop in the place where Sandrino’s stands today. Previously employed by Stowe and Stowe in Perth – the firm that went on to become Arthur Andersens – Lloyd had opened his Fremantle business when Stowe and Stowe baulked at the idea of offering him a partnership in their Fremantle office. They should have trusted Lloyd – he enjoyed great success in attracting market gardeners and people in the fishing industry to his firm, including a number of FAJ clients. This obviously caught the eye of Francis Jones. “Jonesy” visited Lloyd and Mary, who was working with him, and later became his wife, and suggested that they merge their two businesses together. But there was a caveat. Francis wanted to devote himself full time to his other interests, so he suggested that Lloyd buy half the company, and the other half he would hand over to his loyal accountant Herb Moonen. Four years after the pair had taken over the business, Herb’s son Hans, then fifteen years old, started working part time for FAJ. This was a busy and prosperous time for the new owners of the company, and Hans Moonen recalls that a lot of the business was driven by the subdivision of market gardens across Spearwood and surrounding areas, through syndicates. They enjoyed the confidence of many local fishermen and market gardeners, and at one stage you could drive down Rockingham Road and see FAJ clients on either side of the road, all the way along. Indeed, at the start of Rockingham Road there was a sawmill, the owner of which was a client. When he went to Italy for a holiday, somehow Lloyd and Herb ended up running it for him. This became an issue when the owner decided to stay in Italy, so they recruited log hauler Peter Guerini as a partner to take over management of the mill. Completing and lodging tax returns was an important part of the business then, as it is today, and in 1958 the company charged one guinea for a personal income tax return. In addition, the firm began to attract larger clients such as Ciccerello’s Fish Markets, Tony Fini the builder who went on to become a giant in the industry, and the Rose Hotel, which had followed Lloyd across from his practice. In 1959 Lloyd and Herb commissioned architects Oldfield Knott to design a new building for 158 High Street, next door to the squash courts that would eventually become its home. The building, which they named Park View Chambers, was completed in 1961, and soon after FAJ moved in and occupied the ground floor. Herb Moonen and Lloyd Marchesi later expanded their interests, and these eventually took them away from the accountancy practice. In 1968, Francis Alexander Jones’s wife Mrs Edna Jones, became the first married, mature aged person to be accepted for nurse training at Fremantle Hospital at the age of 42. As she was married, Edna was the first student to be permitted to live at home during her training. She enjoyed this period so much, she wished to donate her wages (except for taxi fares to and from work) to assist other nurses to further their education. With the support of her husband the fund was established with the approval of the Hospital Board and became known as the Francis Jones Fund. 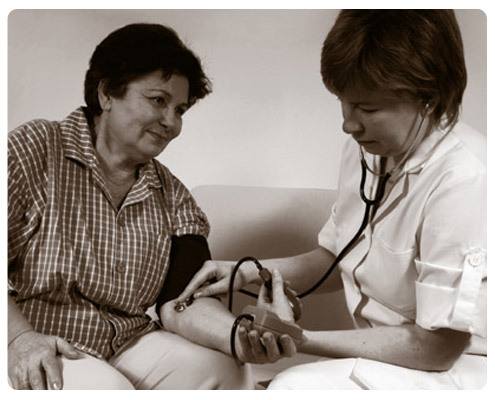 The fund continues to assist nurses to this day, and is maintained by staff contributions of $5.00 per fortnight and fund raising events coordinated by the committee. 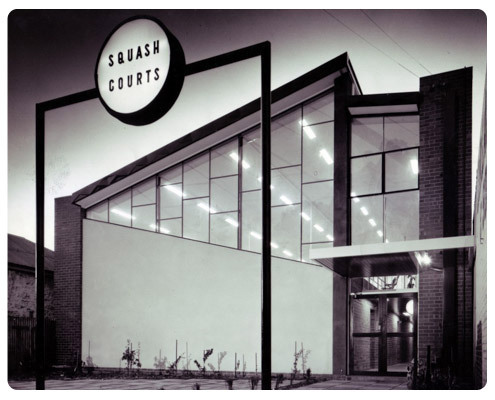 In 1969, Lloyd and Herb bought the squash courts next to Park View Chambers with local real estate agent Bob Manners. The original building was architecturally designed by Raymond Jones in 1953, a prominent architect whose career in Western Australia spanned almost 60 years and included the old RAC building on South Terrace, St Cecilia’s church in Floreat and the old CBA on High Street, and a number of prominent homes in the western suburbs. There were four squash courts, and Bob, a part owner, occupied the front “court”, while FAJ occupied the back three. Bob remained in that office until 1975 at which point he sold his share to FAJ. However the front “court” was still not taken up by the firm – Jim Carroll moved his pathology business in there. In 1970, Hans Moonen, who had completed his studies and qualified as an accountant, and had joined the firm full time, became a junior partner. Ray Polglase, who had been with the firm since 1968, also became a junior partner and the four (Herb Moonen, Hans Moonen, Lloyd Marchesi and Ray Polglase) remained in partnership until 1975. Ray stayed with the firm until 1988, and Hans still contributes, although he is retired. The year 1970 was an interesting one in that Western Australia was in the grip of the nickel boom (the share price of Poseidon rocketed to $280), but there was social unrest related to the Vietnam war. On the other side of the world, Sir Frank Packer’s yacht Gretel was controversially disqualified from race two of the America’s Cup final series, an event that prompted a former Fremantle signwriter, Alan Bond, to vow to win the trophy from the New York Yacht Club. It was a resolution that would have a major impact on Fremantle over a decade later. In 1975, Lloyd and Herb retired, and Hans and Ray were joined in the partnership by Rod Moonen and Mario Cattalini. The growth of the firm continued, and it was at this time that the first upstairs “floor” was added to the High Street premises. Hans bought the flooring, which covered one of the squash courts, at the Royal Show. There were no stairs, so access was via ladder, and the initial furnishing for this “floor” was a ping-pong table. A year later, in 1976, FAJ purchased its first stand alone computer – a Wang that cost a cool $40,000. Still, the Wang turned out to be pretty good value for money; it operated until 1983, at which time it was replaced by a network of four Hartley computers. 1983 was of course a year of great change for Fremantle. Alan Bond had made good on his promise and wrestled the trophy from the NYYC, and the next America’s Cup was scheduled for the port city in the summer of 1986/87. Like all Fremantle businesses, there were good and bad things for FAJ about the period before, during and after the Cup campaign. It was certainly a busy time, and the streets of Fremantle were abuzz with excitement, with even more different languages heard on her streets than usual. In 1987, Rod Moonen retired and sold his shareholding to Geoff Paganoni and Mike Babich, and then Ray Polglase finished with the firm in 1988. Hans Moonen and Mario Cattalini both retired in 2008, and Geoff Paganoni retired in 2015. 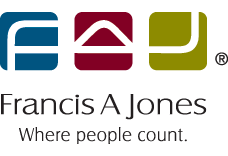 Today, over 85 years since Francis Alexander Jones operated out of a small upstairs office in Atwell Arcade, the company is still going from strength to strength. In the first years of the 21st century – a decade fraught with upheaval, tragedy and volatility – the company added a lending division (FAJ Home Loans) and a bookkeeping division (FAJ Bookkeeping) in recognition of changing demand for services. The current owners and senior partners, whose biographies appear on the FAJ People page maintain the company ethos of service to the community and comittment to its still-growing list of clients, but with that edge of innovation that marks all successful companies in the second decade of the 21st century. Our history has been long, interesting and varied; we have no doubt that our future will be the same. If you have an ‘FAJ story’ related to the FAJ Fremantle history please email it to mark@faj.com.au.